Hi! 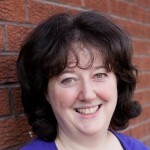 I’m Sharon Zemmel, the owner and principal therapist of Cheadle Holistic Therapies. I started my business five years ago with a single therapy – the Natural Face Lift Massage – and quickly attracted a loyal following of women who appreciate the unique combination of deep relaxation and facial rejuvenation (with not a needle, product or machine in sight). The business has grown and I now offer Swedish Massage, Pregnancy Massage, Facials using Neal’s Yard organic skincare, Reiki, Hopi Ear Candling and much more. The list is still growing. I now include treatments for men too. My main interest is helping and supporting people to relax and improve their health through massage and holistic treatments. Some space and time for ourselves plus nurturing, healing therapies help us all to recharge, look and feel better and be more resilient. Cheadle Holistic Therapies operates from a large private house so peace and privacy are assured – and parking is very easy! I recently set up a second, related business, Massage@Work going into the workplace to help office workers with muscular aches and pains, stress relief, postural issues and well-being. We are open 11.00 am-8.00 pm Monday to Friday and 11.00 am-5.00 pm on Saturdays. Treat someone special to the fabulous gift of wellbeing. Copyright © 2014-2017 Cheadle Holistic Therapies.